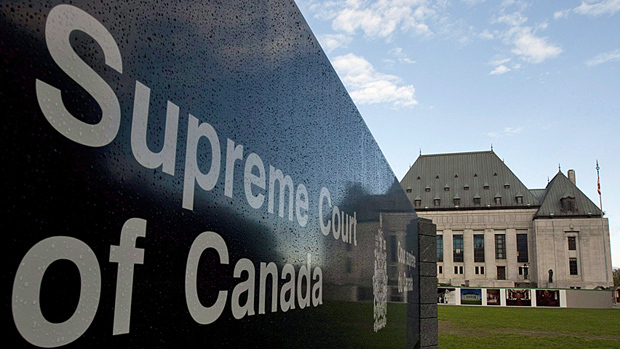 Allstate Insurance Company is applying to the Supreme Court of Canada, in the hopes of launching an appeal against a ruling over a benefits denial-notice for an auto-claim. According to records, Allstate insists the Ontario two-year period of limitation began when notice denying benefits was mailed to the claimant, as opposed to the claimant’s receiving a neurologist’s report (which formed the basis for the benefits denial). Claimant Edna Klimitz suffered her injury in November 2003, when she was struck by a driver while crossing an intersection. When she applied for her statutory accident benefits two months later (as per Ontario insurance law), she underwent medical examination at Allstate’s request, conducted by orthopaedic surgeon Dr. Edward English and neurologist Dr. Garry Moddel. On April 15 2004, the claimant received the orthopedic surgeon’s report, and a little over one month later, on May 31, she received Allstate’s notice of benefits-denial. They based their refusal to pay on the grounds that she failed to qualify for the non-earner benefit, drawing attention to the examiners’ reports. According to the Ontario Statutory Accident Benefits Schedule, five working days after the receipt of an insurer’s examiners’ report, “the insurer shall give a copy of the report and the insurer’s determination with respect to the specified benefit to the insured person and to the health practitioner who completed the disability certificate” (section 37 (5)). According to court records, Klimitz did not receive the report written by Dr. Moddel until much later – July 18 2006. She then applied for mediation from the Financial Services Commission of Ontario two days later. In Ontario law, mediation should begin within two years of the insurer’s refusal to pay out for a claim. In 2012, an FSCO arbitrator ruled that this two-year span actually began when the claimant received the notice of denial, and, as a result, was unable to proceed with arbitration. In March 2013, this ruling was overturned by the FSCO director’s delegate, Mr Lawrence Blackman. While Allstate applied for a judicial review, Ontario’s divisional court ruled, in 2014, that it was “not unreasonable” for Mr. Blackman “to conclude that the two-year limitation period did not start to run until Ms. Klimitz received a copy of Dr. Moddel’s report” in 2006. The Court of Appeal upheld the Divisional Court’s decision, ruling that Mr Blackman “was entitled to deference in the interpretation” of Ontario insurance law (a decision released on October 19, 2015). Allstate then applied for leave to appeal with the Supreme Court of Canada, on December 10, 2015. Asking Allstate to provide the neurologist’s report alongside its notice of denial “would amount to holding the insurer to a standard of perfection,” according to the FSCO arbitrator in 2012. The director’s delegate cited a ruling from the Court of Appeal for Ontario, from 2005, in the case of State Farm Mutual Automobile Insurance versus Deborah Turner. After hearing Allstate’s application for judicial review, other judges (Mr. Justice Frank Marrocco and Mr. Justice James Spence) agreed.